Following a series of elusive teasers, Ferrari has introduced the 488 GTB prior to a public debut set for next month at the Geneva Motor Show. 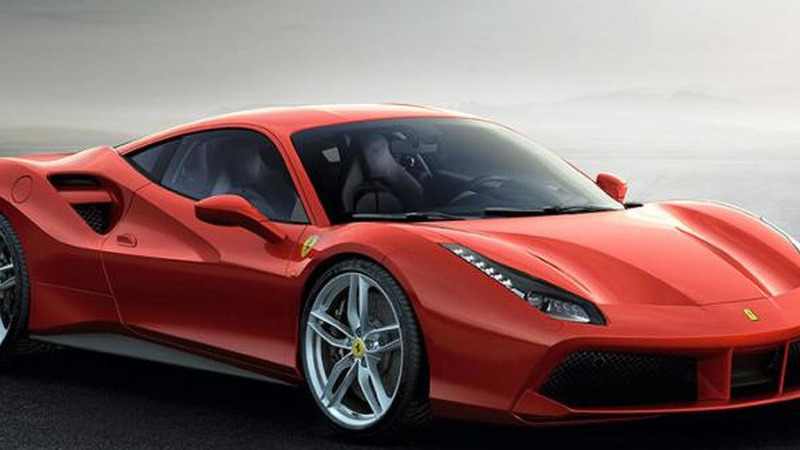 Following a series of elusive teasers, Ferrari has introduced the 488 GTB which was previously referred to as the 458 M (Modificata). More than just a 458 facelift, the latest prancing horse from Maranello embraces turbocharging thanks to a twin-turbo 3.9-liter V8 engine producing 670 HP (493 kW) at 8,000 rpm and 760 Nm (560 lb-ft) of torque at 3,000 rpm. It's enough muscle to allow the supercar hit 62 mph (100 km/h) in 3 seconds, 0-124 mph (200 km/h) in only 8.3 seconds before hitting a top speed of 205 mph (330 km/h) while a lap around the firm's Fiorano track will take 1 minute and 23 seconds. Power is channeled to the rear axle through an updated seven-speed dual-clutch transmission featuring variable torque management while the gear ratios have been programmed to "deliver incredibly progressive acceleration when the driver floors the throttle." Ferrari promises the 488 GTB’s exhaust has been modified to deliver a "full, clear and totally distinctive" soundtrack. In terms of styling, the large air intake scallop represents a throwback to the original 308 GTB and in this application it has been divided by a splitter into two separate sections. Also noticeable is the wider front spoiler along with a new blown spoiler which helps improve downforce and works together with the diffuser that has received active flaps. Rounding off the list of exterior changes are the mildly tweaked LED taillights. Stepping inside the cabin, the Ferrari 488 GTB should be very familiar but there are new satellite control clusters, angled air vents and a slightly revised instrument panel. Also fresh are the body-hugging seats along with a new interface and graphics for the infotainment system. 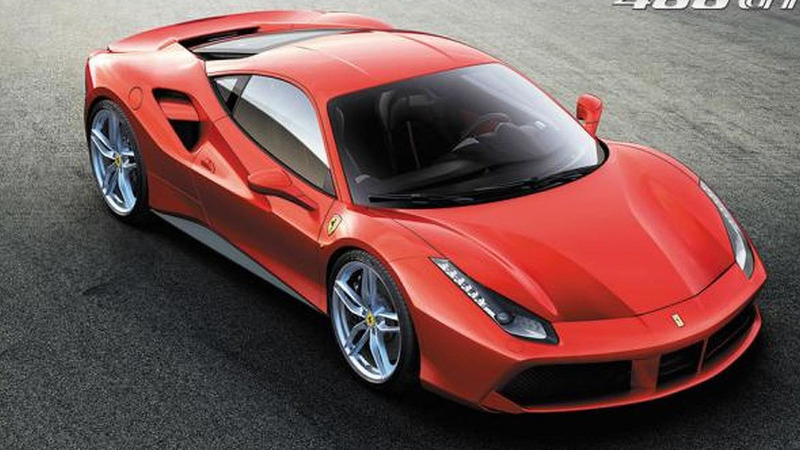 Ferrari will bring the 488 GTB to next month's Geneva Motor Show. A Spider version should follow in September at the Frankfurt Motor Show.